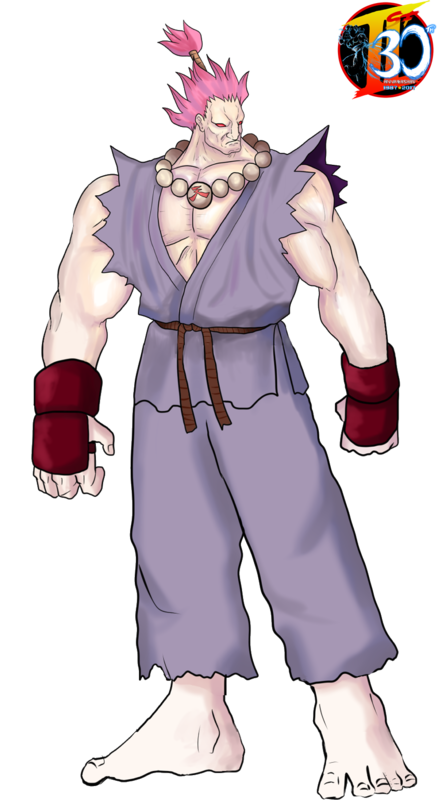 Akuma or ‘Gouki’ as he is known Japan, debuted as a hidden final boss of Super Street Fighter II Turbo and The New Challengers. He appears only when the player gets at least three perfect rounds and progresses through the game without losing or using any continues. When this is accomplished, Akuma will swoop in and defeat M. Bison effectively replacing him as the final boss. And as hard as it was to get to this point, if becomes even harder to fight him. Having all of Ryu and Ken’s moves, he is much more stronger and comes packed with air fireballs and teleporting dash moves. 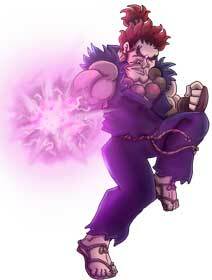 Akuma’s origins came from an original “April Fool’s” published in an old article of Electronic Gaming Monthly. The joke was that there was a “Secret trick” to unlock Ryu and Ken’s supposed master Shen Long, which was based off Ryu’s mistranslated win quote. 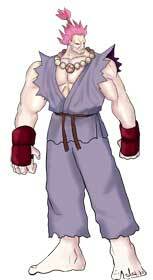 The truth of course is, that he was not Ryu and Ken’s master; but rather the brother of their master Gouken. The brothers both trained under Master Goutetsu; who taught them the techniques of the Satsui no Hado. Gouken embraced the lighter side of the technique, while Akuma embraced the darker side. 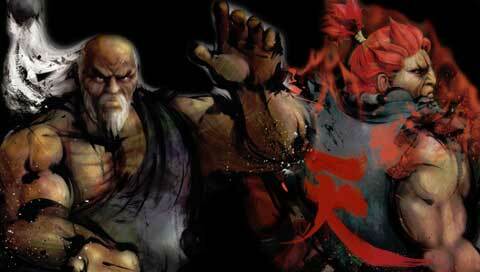 This dark embrace caused Akuma to use the Dark Hado on both his Master and his brother; seemingly killing them both. With Gouken’s disciple Ryu succeeding him, Akuma has taken an interest in trying to bring out the inner darkness of the Satsui no Hado in Ryu. 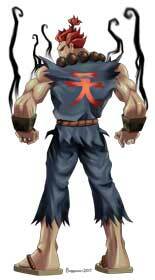 This form of darkness overcoming Ryu would come in the form of his alter ego; Evil Ryu. Despite Akuma’s murderous rage and malicious looks, he is not entirely evil. He actually lives by a moral code vowing not to fight opponents weaker than him. He also holds back a great deal of his strength, as using all of it on a single opponent could kill them easily. He demonstrated this amazing power before when punching the ground of an entire island, causing it to completely collapse. He is quite possibly, the strongest fighter in the entire series; held back only by purposely handicapping himself. 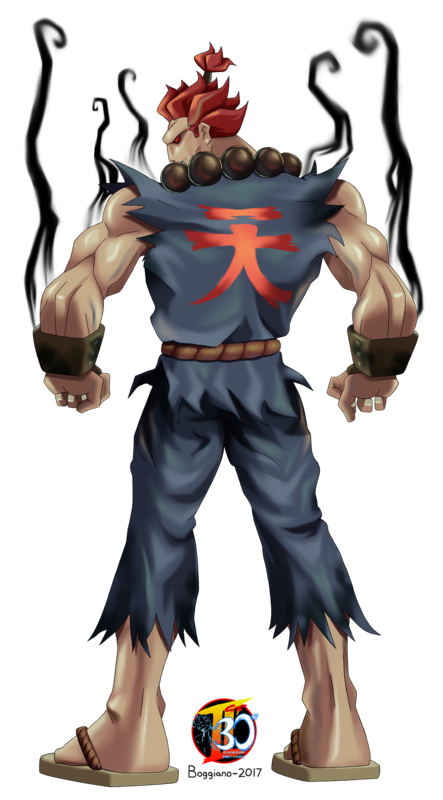 It goes without saying that Akuma is a definite fan favorite of the series. Capcom definitely did not stop using him after Street Fighter II as he continued to appear in almost all future installments and crossover fighting games. His overall looks and fighting style simply reeks with “dark and cool.” The flaming red hair, the beads around his neck, and the ‘ten’ symbol on the back of his gi (meaning ‘heaven’) definitely add an abundance of flare to his design. His move set goes beyond that of Ryu and Ken’s hurricane kicks and dragon punches; as he also uses a variety of other brutal moves. Perhaps his most brutal and awe-inspiring move is ‘The Raging Demon’ (or ‘Instant Hell Murder’ in Japanese.) 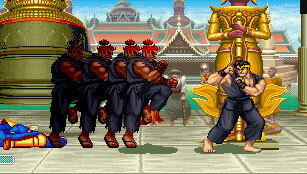 When he catches a player with this move; the screen goes blank, many punches are heard, and then the screen reappears with the player down cold on the ground with Akuma’s back turned and a giant fiery ‘ten’ symbol behind him. What a savage, but totally awesome way to go. Victor “Vf02ss” Boggiano is one of the few artists from Peru that are a part of this community. His first contribution was also Street Fighter related and for our art contest in July when games that were released in 2016 were the topic. His first contribution to our Street Fighter Anniversary showed old-school Birdie, combined with some features of his later designs. He then claimed Akuma for the Street Fighter II Round! 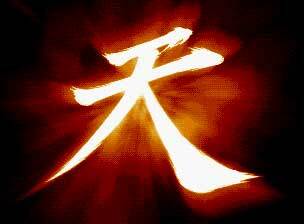 He captured the after effects of ‘The Raging Demon’ when Akuma has his back turned revealing his ‘ten’ symbol! True awesomeness flowing out from his win pose! You can see his whole portfolio in his gallery on dA here, be warned there is NSFW stuff there as well. KaiserKleylson is a Brazilian artist who takes a unique and fun approach to drawing fighting game characters. He likes to draw characters in the style of the character art of Marvel vs Capcom 2. And that…is….awesome! Other Capcom classics like RE’s Nemesis and even DBZ’s Broly make his imaginary roster of potential MvC2 dream warriors. 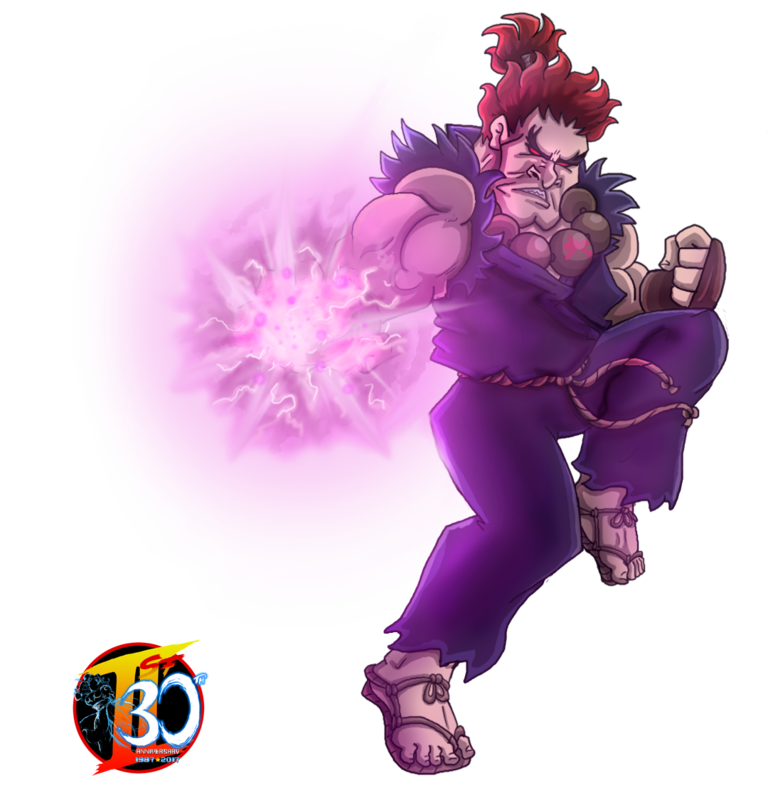 Since Akuma was already drawn in that style, he decided on a more simple approach to depicting the Master of the Fist. That doesn’t make him any less awesome though as you can see. Check out more of his MvC2 ideas plus other fantastic art here at his DA page. Shinragod from the USA is one of the most contributing members of the Game-Art-HQ Community now since years and actually the author of this gallery since he became one of the admins and editors of GA-HQ in 2016! Beside contributing illustrations to almost all our art collaborations in the last years, he is also drawing a lot of other fan art as well as own characters. Have a good look at his complete portfolio on dA here! All of you should kneel before me! Maria Renard just loves her Owl. Captain America in Video Games! The GA-HQ Contributor Frecrexy is currently offering art commissions! The GA-HQ Contributor Shinragod is currently offering art commissions! About& Termas of Service, GDPR etc.